Today we are going to talk to you about Ceramic Paint Coating For Cars. Waxing a car has to be one of the biggest dreads of car owners everywhere. While wax offers a car paint protection coating, it does not last long since it breaks down over time and requires another coat in a few weeks or even sooner in extreme climates. This is not only labor intensive it is also very expensive. The costs of waxing adds up to thousands of dollars over the life of a car. Thanks to advances in nano technology, there is an alternative to wax in the form of ceramic paint protection coatings. Ceramic paint coatings, or nano-coatings, offer a long lasting shine to keep cars shiny and new looking without the hassle of expensive, laborious waxing. 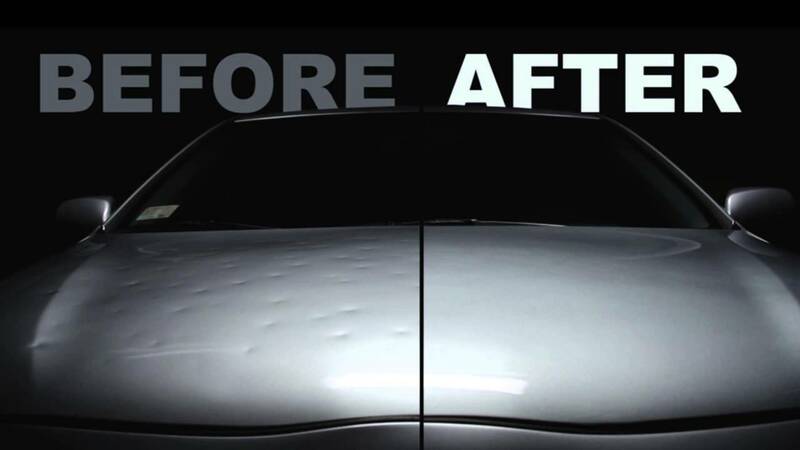 These ceramic paint coating for cars are the best paint protection coating to date in that they provide a strong protective surface over a car’s paint that blocks out foreign substances that can cause damage and fading. The benefits of ceramic paint protection are many including a longer lasting shine, cleaner cars, and, since it eliminates the need to wax, they reduce maintenance costs significantly. Mention this post and get $10 off the discounted price. At MHRS it is always our goal to ensure your 100% complete satisfaction. Our mobile headlight restoration service comes to your home or place of business to complete our work, and we understand the importance of providing you with unmatched professional quality service. We strive for customer satisfaction, as we maintain industry leading high standards of professionalism, reliability and top-notch service. Professional Auto Detailing in San Diego – Services Offered! Auto Detailing Near Me? Or Mobile Detailing Near Me? San Diego Auto Detailing Near Me? If you’re in the market for getting your car detailed, you might be asking yourself “Should I look for auto detailing near me?” or “Should I use mobile auto detailing near me?” service. The decision depends on your budget, your time, and the type of mobile auto detailing you require. Reviewing the pros and cons of a mobile detailing outfit versus an auto detailing shop can help you make that decision. In order to examine the positive and negative aspects of mobile auto detailing near me and auto detailing near me, the first thing to consider is the location. 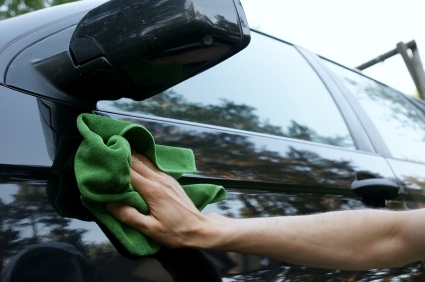 Mobile detailing services come to you in contrast to an auto shop detailing service, which you bring your car to them. 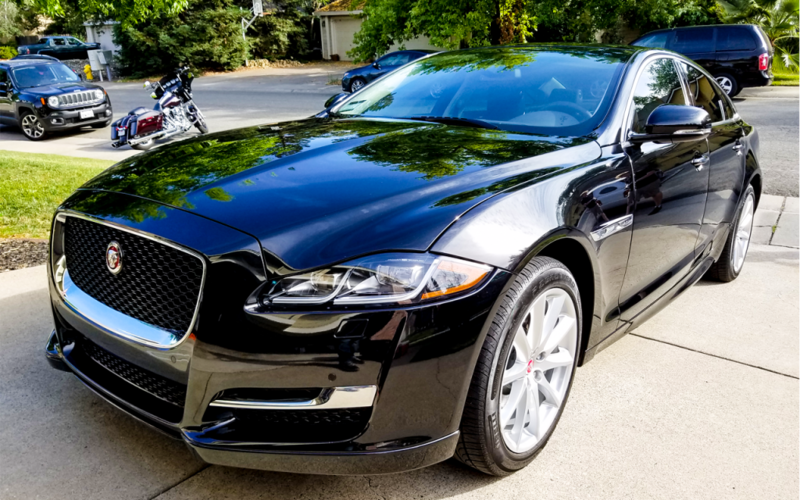 A mobile detailing service might save you time if your car is parked in a convenient location where both you and the mobile detailing service can easily access the car. You will likely need to go outside to unlock your car and pay for services. 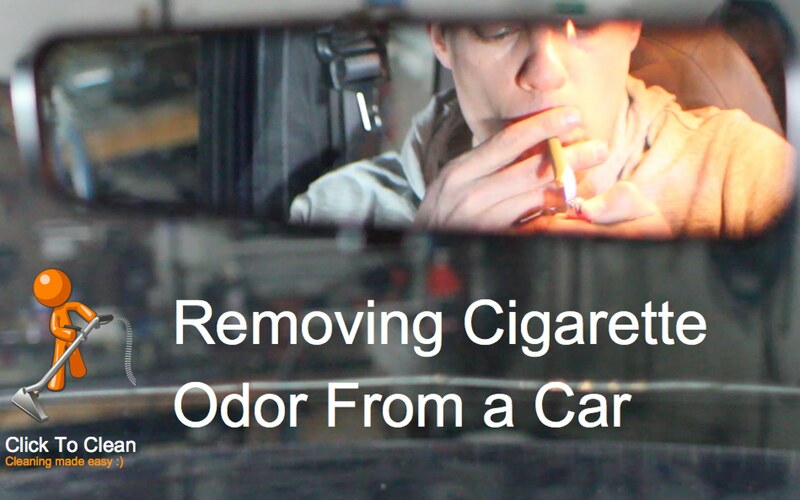 If you are unable to do these things, then bringing your car to an auto shop detailing service might be a better fit. Another consideration, of course, is your budget. Mobile detailing services are cheaper, but for a lower price, fewer services may be offered. Auto detailing shop tends to be more expensive, but permanent locations generally have more equipment that may provide an overall better service. After considering these factors, a quick call to both places asking questions regarding pricing and services will ultimately help you decide the best fit for your needs. Affordable Auto Detailing near me! Auto detailing is a valuable service that improves the quality of your vehicle and the driving experience. If you are weighing your options between mobile auto and auto shop detailing services, consider the level of service you need, your time, and your budget. Luckily, there are many detailing service options out there and you should have no problem finding a reputable company meet your detailing needs. Here is a cool article on why San Diego Auto Detailing shop are Great! Auto Detailing Gift Certificate. The Perfect Gift! 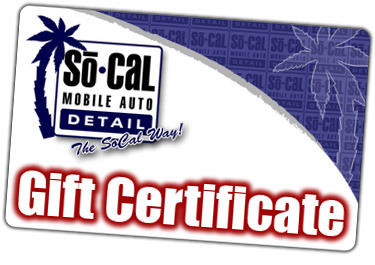 Auto Detailing Gift Certificate – Perfect! Auto Detailing San Diego – Detail Shops are GREAT! Do you dread standing in your driveway with a hose and a bucket of soap slaving over your car in the blistering sun? Are you frustrated that you keep spending your hard earned cash on expensive cleaning products and not getting the perfect shine you desire? Are you tired of waiting in endless lines for a lackluster and overpriced automatic car wash? Fear not car fanatics, if you live in the San Diego area, there plenty of reliable Auto Detailing San Diego places to get your car professionally detailed. What exactly does a detail shop do? Well, a detail shop takes your basic car wash to the extreme for professional results at a budget friendly price. In addition to basic cleaning services, you can also pay a bit extra to have UV and paint protecting products added to prevent fading and peeling, keeping your car’s exterior and interior looking newer for longer. What Auto Detailing San Diego Shops can do for you! Auto Detailing San Diego shops offer a wide range of services starting from the most basic auto detailing packages which usually include: a complete and thorough cleaning of the exterior, interior vacuuming, window cleaning, tire detailing, and dusting and wiping of the vehicle interior. From there the service expand into higher packages or individual add-ons which often include: Extensive interior cleaning, full wax treatment, wheel polishing, UV protectant for trim, cleaning of carpets, mats and seats, leather conditioning, fabric and upholstery protectant, dash and console cleaning and UV protectant, and polymer paint sealant for painted surfaces. These are the basic services offered by most detail reputable detail shops, and with a quick call or visit you can find out if there are additional options like minor bodywork or electronic upgrades. Many used car dealerships also offer basic auto detailing services so if you feel more comfortable you can ask your favorite dealer to schedule you to have your vehicle detailed right at the dealership. Wash-n-Wax: How Often Should I Wax My Car??? A common question we are asked here at So Cal Mobile Detailing & Auto Wash is “how often one should wax their car?” Some people say that one should wax there car every time after washing the car, and should wash your car at least once a month. There is nothing wrong with doing this, but you really do not need to wax it that often. It is true that your car will look great if you do this, but it is a little bit of overkill and not completely necessary. – Let’s talk more about wash-n-wax. You definitely should wash your car once a month. ESPECIALLY in the snowy climates. We live in San Diego, yet still, if you love your car, you will wash your car to protect it and keep it looking nice. The truth is that if you wax it every time you are just wasting wax. Wax last longer on a vehicle, and if you use it too often you are just caking on more wax without any real benefit. If you are washing your car once a month, it is ideal to wax it every other wash. By doing every other month you maintain a healthy shine, protect your car form chemicals and the sun, and are not needlessly wasting money by over waxing. Waxing every other time is the perfect way to make sure that you car stays looking great without having to set aside a second savings account just for your wax budget. 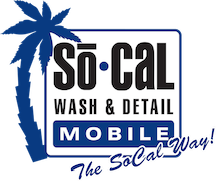 So Cal Mobile Detailing & Wash offers San Diego the best in wash and wax services. Our wash and wax services available include our Wash-N-Wax wash package and check out our clay bar treatments. The deal is in the Wash-N-Wax. At the end of the day. We suggest our clients to wax every other wash. This insures you are protecting your car while not overkilling it on the wax, ultimately saving you money. Why San Diego Headlight Restoration? Car owners have much to fear from the sun—especially when living in San Diego, Ca where clouds are hard to come by over 300 days a year—but while most car owners are primarily concerned with the damage the sun’s rays can do to their paint jobs, they frequently overlook how harmful the sun’s rays can be to their headlights. A lot of people don’t realize it, but cloudy, oxidized yellow headlights are caused by long-term exposure to the sun, not by dirt and dust as it’s often assumed. While properly protecting your car’s paint from the elements is certainly important, don’t underestimate the importance of protecting your headlights too. 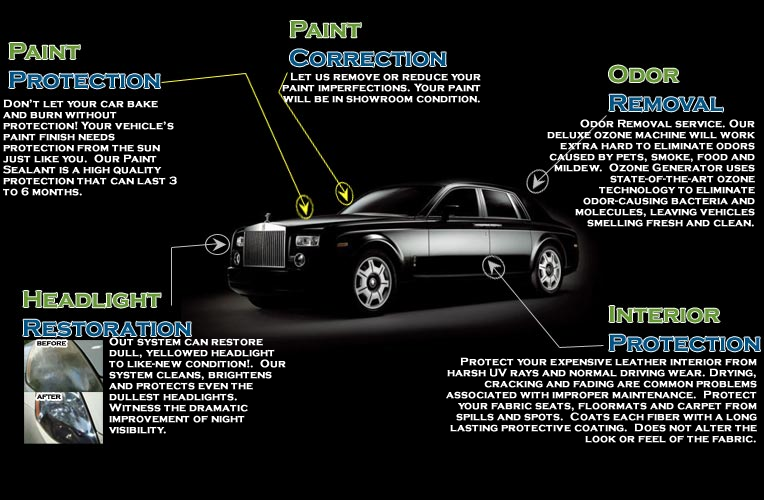 After all, the paint’s just there to make your car look nice—your headlights are there to protect you. For most of us, it’s hard enough as it is to both drive in the dark or in inclement weather, and at the same time, keep an eye out for animals and pedestrians strolling unannounced into the street. Therefore, don’t make it more difficult for yourself by driving with cloudy headlights. Cloudy headlights reduce the amount of light your bulbs are able to project, and as a result, make it more difficult for you to see. Additionally, the less light your headlights are emitting, the more difficult it is for other drivers and pedestrians to see you. Obviously, anytime visibility is compromised, the likelihood that you’ll be involved in an accident increases. Not only do you put yourself in danger of being in an accident with cloudy headlights, you also run the risk of getting pulled over because of foggy headlights too. Most states have strict headlight laws, and the federal government also has regulations addressing headlights as well. Anytime a police officer sees that one of your headlights is out or is extremely dim, you just might get a ticket. Don’t wait until you get a ticket or get in an accident to take care of your headlights. A headlight restoration by your favorite auto detailer will remove any damage that’s already been done to your headlights, and it will also help protect your headlights from yellowing or clouding up in the future. The procedure is a lot cheaper than replacing your headlights too. Replacing headlights can run you up to $500 for labor and parts, and at SoCal Mobile Auto Detail & Wash a headlight restoration can be added on to any package for only $39.00 or $69.00 as a stand alone package. Either way, it is a substantial savings.